This single malt whiskey from Midleton is a real curiosity. Every few years, the distillery makes batches of malt whiskey for use in some of its blends, but it was never designed to be released as a single malt. Former master distiller Barry Crockett even admits that the huge pot stills they have in the Cork distillery are not really suited to producing characterful single malt, but this one is very interesting all the same. 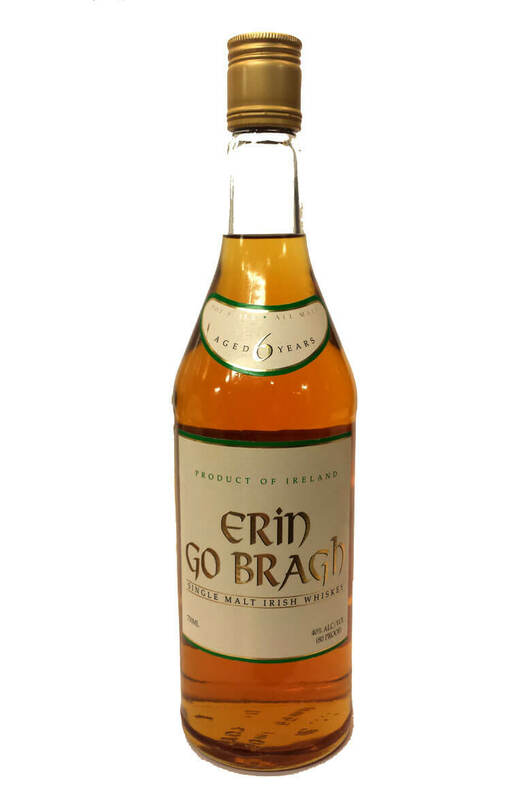 Erin Go Bragh, which translates as 'Ireland forever', was made in the 1990s for an independent American bottler, but some of it has reached our shores. Now very hard to find.